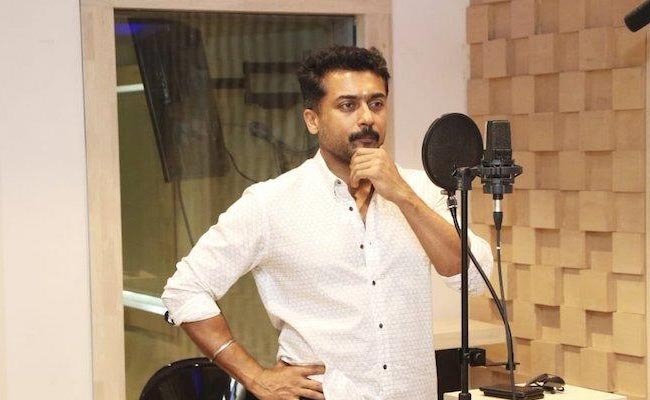 In an exciting news for his fans, Suriya has started dubbing for NGK. Producer of NGK, SR Prabhu has taken social media spaces and shared the picture of Suriya in the dubbing studio. Yet another happy news, which was shared by the producer, was that of regarding the release plans. He has maintained he would share the release plans of the movie soon within a week. With post production works going in full swing, it is certain that this Suriya starrer would soon be heading towards locking a release date soon. Under the direction of Selvaraghavan, NGK is one of the most anticipated movies in Kollywood, with the teaser of the project going onto meet thunderous response from social media. Touted to be a political thriller, NGK stars Rakul Preet and Sai Pallavi in other important roles. Sai Pallavi turns down a two million deal…!